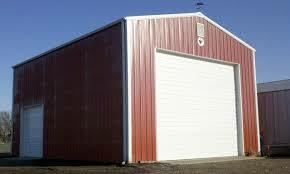 A critical piece of any new building is its garage door or doors. As the economy recovers, many of Gateway FS Construction Services’ commercial and residential customers are building new structures or considering building new structures. Whether you are building a garage, storage shed, an equestrian complex or something in between, you need a garage door that is functional, reliable and fits in the design of your new building. Gateway FS Construction Services, along with our partner, Raynor Garage Doors, has the garage doors that you need and the expertise to help you choose the right one, in addition to helping ensure it is run and maintained properly. The garage door experts at Gateway FS Construction Services will meet with you and explain the variety of commercial and residential garage door options offered by Raynor. We understand the challenge in ensuring you choose the best door for your requirements and taste. While Raynor provides a wide array of garage doors including sectional, rolling, performance, traffic and fire; Raynor and the garage door team at Gateway FS Construction Services recommend any of Raynor’s sectional garage doors for most agricultural applications. Regardless, our garage door specialists will work with you to find the optimal garage door for your needs, budget and unique application. For instance, when building an agricultural facility, it’s vital to fit the door to the structure. Raynor has the ability to create the exact sectional door that you want with custom sizes, an array of exterior color selections, and a variety of windows sizes. In addition, Raynor agricultural sectional garage doors are made with quality materials intended to last and come in dimensions up to 40 feet wide and 32 feet high. Finally, because agricultural buildings typically have large openings that are exposed to the weather, Raynor offers a sectional door with 100% of its interior space filled with polyurethane foam insulation, superior structural integrity and insulated glass windows. And we have the selection to fit any residential needs too. Once you have chosen your new garage door, our Gateway FS Construction Services garage door specialists will install your garage door and continue to work with you to be sure that you understand how to maintain it properly so it functions optimally for a long time to come. If something does happen to go wrong, the Gateway FS Construction Services garage door team will repair any glitches and get your garage door back up and running in as short a time possible. Whatever your commercial or residential garage door or construction and repair needs, the professional team at Gateway FS Construction Services can help. Give us a call at 866-551-3454 today and talk to one of our experienced construction and service representatives. We look forward to providing you the best customer service experience. Ensuring that you select a quality post-frame contractor may seem overwhelming at first, but Gateway FS Construction Services is here to help. We are pleased to provide you, this second article of three articles, in a series that provides guidelines to make your decision easier to utilize Gateway FS Construction Services for your post-frame building needs. Last month we discussed how to be sure that the contractor has an established business in your area and has a good reputation for quality work, including a list of suggested specific questions. This month we will review verification of licensing and memberships. One of the most important things that needs to be done when researching contractors is to ensure that they are members of the National Frame Builders Association (NFBA). Contact the NFBA to determine if your contractor is a member. Membership in the NFBA means that a contractor is a professional that is dedicated to providing the highest standards of integrity, responsibility and honesty. A NFBA membership should be a requirement for any contractor that you use. Also critical is the verification of current licensure of not only the contractor but also the engineer that prepared the plans. A structurally sound post-frame building requires a sound engineering design that has been prepared by a registered professional engineer. Contact the Illinois Department of Financial and Professional Regulation or the Illinois Society of Professional Engineers for more information or to look up a license. Finally, the state of Illinois as a whole does not regulate contractors. Individual cities and municipalities handle licensing contractor businesses. A must before hiring any contractor is to contact your local city’s building department to ensure that the contractor’s license is not revoked/suspended or they are accused of delivering subpar work. Gateway FS Construction Services has been constructing highly-engineered, quality, post-frame buildings in Southern Illinois for more than 50 years. Our work can be seen all across the countryside. 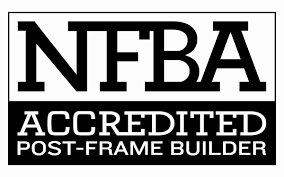 We are proud members of the NFBA, provide professionally engineered designs and are licensed to build in your area. Gateway FS Construction Services, along with our partner, Walters Buildings, will meet or exceed all of your expectations with regards to constructing post-frame buildings. Whatever your post-frame building construction needs, the professional team at Gateway FS Construction Services can help. Give us a call at 866-551-3454 today and talk to one of our experienced post-frame building construction service representatives. We look forward to providing you the best customer service experience. And stay tuned next month for part 3 of our series on selecting a quality post-frame builder. Are you in the market for new portable storage and handling systems? If you are, the United States Department of Agriculture (USDA) has a deal for you! This month the USDA announced a new financing tool for producers interested in purchasing portable storage and handling equipment. The goal of this new loan program is to help producers, especially new or small to mid-sized producers, grow their respective enterprises. At the center of this new financing program is a “microloan” option for producers seeking a smaller loan and needing a smaller down payment. This microloan option, available to producers of all sizes, allows applicants to apply for a loan of less than $50,000 and pay a reduced down payment of 5 percent. In addition, there is no obligation to provide three years of farm production history or inability to secure commercial credit in order to apply. The USDA hopes that smaller farms and specialty farmers in particular will benefit from the microloans. Typically, these types of producers do not have access to commercial or on-farm storage or handling systems. The microloans will hopefully encourage the purchase of handling and storage equipment such as conveyors, scales, refrigeration units, etc. and in turn contribute to the growth of their farm businesses. If you are interested in more information, please visit the USDA website or your local Farm Service Agency office. Once your loan is secured, come visit the professional team at Gateway FS Construction Services. We at Gateway FS Construction Services proudly provide our customers the very best in grain handling and storage systems. Whether you need bin wells, conveyors or augers, we will work with you to be sure you have the proper tools you need to most efficiently handle and transfer your crop. Need a grain bin? We can also help ensure the purchase of an excellent on-site storage system to help preserve grain quality after harvest and more readily seize market premiums. Whatever your crop handling or storage needs, you can depend on Gateway FS Construction Services to provide you the system that you need most, when you need it. Give us a call at 866-551-3454 and let our specialists help you choose a handling or storage system to meet your specific needs. We look forward to providing you the best customer service experience.